Go ahead. Give us your best scare! Introducing the one and only, James P. Sullivan. He's Monsters Inc's top scarer, but that wasn't always the case. A long time ago, back in Sulley's college days, he was a student in a fraternity at Monsters University: Oozma Kappa, and let's just say that this fraternity wasn't exactly known for taking in the school's scariest monsters. On the contrary, Oozma Kappa accepted the strangest, most bizarre, and socially awkward students on campus! But did that make Sulley's bright blue fur all ruffled? No way! He worked his way from the bottom of the bunch at Monsters U and made it to the top of Monsters, Inc. and as a result, became one of the best scarers that Monstropolis has ever seen! Of course, Sulley had some help along the way from his bestie since day one, Mike Wazowski! We know that on the surface Sulley doesn't look that scary. After all, his fur appears to be soft and well-groomed and those purple polka dots all over are absolutely adorable. 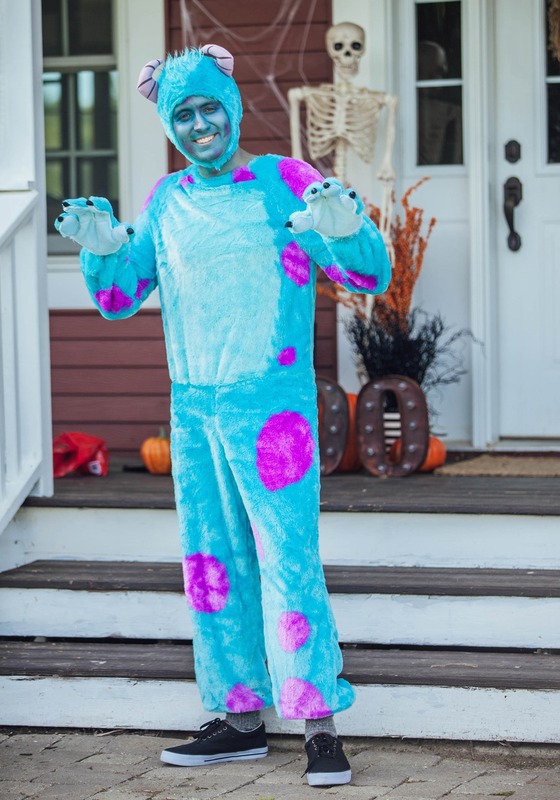 We have some great news for you because now you can know what it feels like to be Monsters, Inc. top scarer by wearing this officially licensed adult Sulley costume. As Boo would say, you will look like a big fluffy "kitty" when you wear the zip-up jumpsuit and the coordinating headpiece. 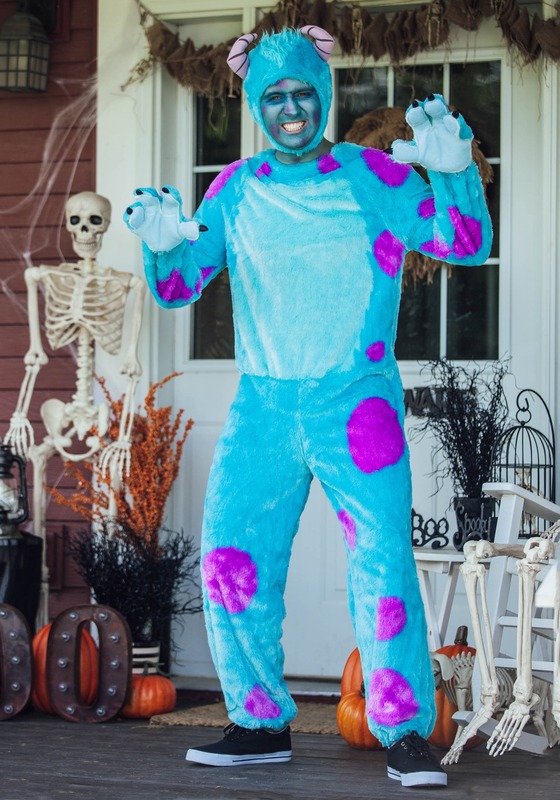 With that being said, you will have to practice your scaring techniques just like Sulley did in college to really reel in lots of loud screams! We recommend hiding under the bed or in the closet for the most ear-piercing shrieks.